The National Forage Bowl Competition is an undergraduate team competition. The format is similar to the popular game show Jeopardy; categories cover all aspects of forage production and management. A National Forage Bowl Cup is presented to the winning team to be displayed for the year on campus with the right to defend the Cup the following year. This is an excellent opportunity to get students from across the United States involved with a forage focused organization, to network with fellow students, to meet with forage leaders, and to learn about career opportunities in the forage industry. 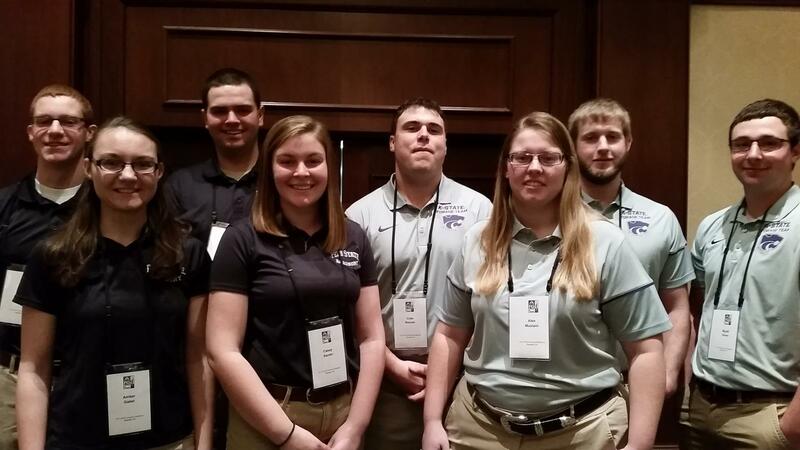 The University of Wisconsin-River Falls Forage Quiz Bowl Team members are students majoring in different departments within the College of Agriculture Food and Environmental Sciences (CAFES) who have come together prepare on a wide variety of Forage subjects. The corresponding departments include Plant and Earth Science, and Animal Sciences. The UWRF Forage Team members are Brett Breitenfeldt, Jordyn Bush, Kyle Hilger, Derek Lenzen, Morgan Orr, and Leanna Schneider. The University of Wisconsin-River Falls (UWRF) College of Agriculture, Food and Environmental Sciences (CAFES) enrolls, 1,300 undergraduate students across 12 different majors. Two laboratory farms, a greenhouse complex, food processing plants, specialized laboratory facilities, intercollegiate competitive teams and student organizations, and a very successful industry internship program contribute to the College's active learning environment which emphasizes hands-on experiences in real world settings. The UWRF features one of the largest dairy science programs in the nation, as well as an agricultural studies program that gives students the flexibility to design an individualized program. Forage Crop courses are a major component of the Crop and Soil Science major. 2017 Forage Bowl Second Place - Kansas State University.